In a widely advertised "lego-like" philosophy of building a modular family of space launchers, the Angara-3 variant was designed to take the middle position between the Angara-1 and Angara-5 variants in terms of its payload capability. 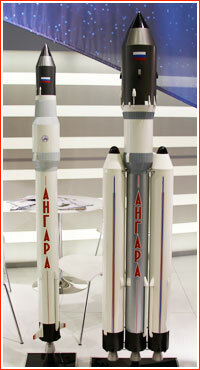 If built in the early 2000s, as it was originally planned, Angara-3 could replace the Ukrainian-built Zenit rocket. Made of three standard "universal rocket modules" or URM-1, and topped with a single upper stage, the Angara-3 would be capable of delivering up to 14 tons into the low Earth's orbit, LEO, after launching from Russia's Northern launch site in Plesetsk. Officially designated as Angara-A3, it was sometimes referred to as Angara-Medium. To reach orbits beyond LEO, Angara-3 could be complemented with upper stages, such as Briz-M or Fregat. (355) It could be suitable for small-size communications satellites heading to the geostationary orbit and for a range of payloads to be deployed in the medium-altitude orbits, such as navigation satellites. At the beginning of 2005, developers at GKNPTs Khrunichev also pitched Angara-3 as a potential launcher for a new generation crew vehicle that the company was vying to develop in a competitive bid to Roskosmos. 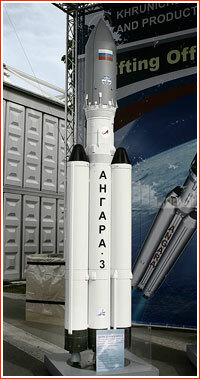 At the time, the "human-rated" version of the Angara-3 rocket was designated as Angara-A3M. However, with the increasing mass of the prospective crew vehicle, GKNPTs Khrunichev had to switch to Angara-5P. At the beginning of the 21st century, promotional materials distributed by GKNPTs Khrunichev projected the introduction of the Angara-3 rocket in 2003 or 2004, however most of the work on that variant stalled along with the rest of the Angara project due to lack of funding until the mid-2000s. As of 2014, when the Angara-1 and Angara-5 variants finally reached the launch pad, the Russian space agency or the Ministry of Defense had not identified any payloads assigned to Angara-3, even though a number of military and civilian satellites were technically suitable for that configuration. Around the same time, Roskosmos lost access to the Zenit rocket because of the Kremlin's conflict with Ukraine, so, at least theoretically, there was a new incentive for pushing forward with the Angara-3 variant. In April 2015, the TASS news agency quoted Dmitry Rogozin, then Deputy Prime Minister: "We can say that we replaced the Zenit rocket with the medium-size Angara-3." For the next several years, the medium variant appeared regularly with the rest of the Angara family at various events and shows in the form of scaled models and in presentations by Roskosmos and by the official Russian media. Some reports also circulated about attempts to jump-start work on the Angara-3 variant and even marry the vehicle to the Sea Launch platform, replacing Zenit. However, it appears that very initial studies quickly revealed that Angara-3 was too wide to pass through the narrow clearances of the ocean-going rocket processing vessel or to interface with the equipment of the floating launch platform. Unlike Zenit, the Angara would probably require a service tower on the pad, which was not available on the Sea Launch platform. Moreover, multiple industry sources also disputed the notion often implied in official public materials advertising the modular nature of the Angara family that the Angara-3 could be easily formed by mere omission of the two boosters from the four-booster Angara-5 variant. 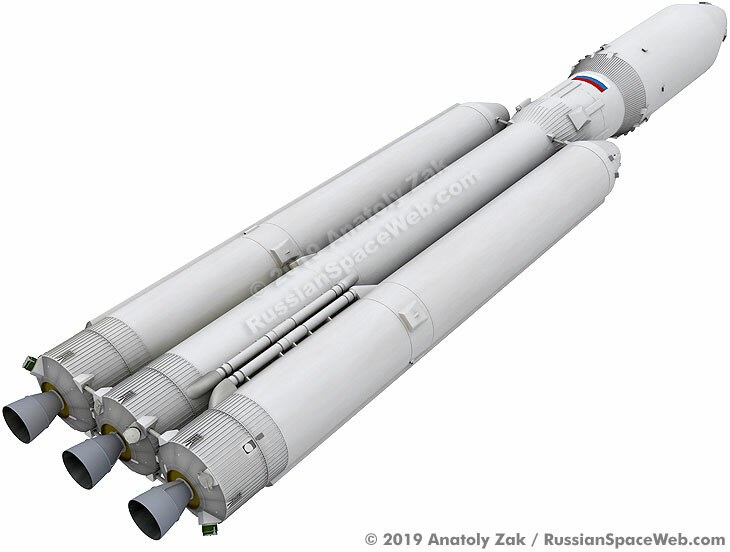 As one poster on the web forum of the Novosti Kosmonavtiki magazine explained, the Angara-3 rocket would require a different design of the pneumatic and hydraulic plumbing, as well as a new layout for the onboard electric cabling network. As a result, the developers of the Angara-3 variant would not be able to skip the re-issue of the specific design documentation, if not from scratch at least certainly with considerable revisions of the original blueprints issued for Angara-5. How expensive and time-consuming these changes would be was disputed, but, in any case, it appears that it never went that far. During his visit to GKNPTs Khrunichev on April 1, 2019, Rogozin, (now in capacity of Head of Roskosmos), finally admitted that plans to build Angara-3 had been shelved because its payload capabilities overlapped with those of the Soyuz-5 rocket, which was officially in development since 2017. Ironically, at this stage, the Angara-3 is still much closer to reality than Soyuz-5, which just appeared on the drawing board and has no production line to really speak off. At the same time, after years of growing pains, the Angara family slowly approaches actual serial production and has at least one launch facility waiting for it.